The most successful European Poker Tour (EPT) Main Event has just been concluded with talented poker player John Juanda clinching the win. For his unprecedented victory, the five-time World Series of Poker (WSOP) title winner cashed a whopping prize of  1,022,593. Interestingly enough, it is his first EPT trophy. 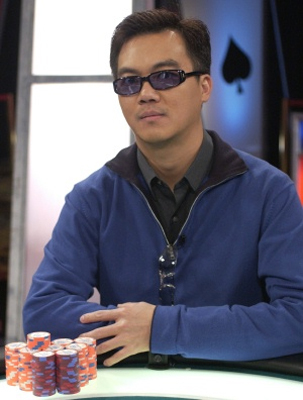 In 2010, Juanda fell to David Vamplev in the heads-up of the EPT London Main Event. With the gigantic sum he has just sealed, Juanda now possesses $ 16.7 million in career earnings. He is currently ranked 9th position on the All-Time Money List. Admittedly, the final table of the poker tournament has been pretty knotty. Juanda got in the final 9th in chip position. It was Denys Shafikov who led the pack in chip count; of course, he did his best to secure the lead. Against his will, the Ukrainian man saw his run cut to 4th-place. After his elimination, the scene was set for a truly turbulent battle between Juanda, Steve Warburton and 2012 EPT Madrid champion Frederik Jensen. The pack then trimmed down to two as Juanda kicked Jensen to the the 3rd-place rail. In the final showdown, Juanda clothed himself with confidence facing UKs Warburton. Though the latter held a modest chip advantage over Juanda, it was not enough to oust the Indonesian-born American professional poker player. Anyway, the three men standing agreed on a deal, which saw the eventual runner-up earning  796,100, and the 3rd-place finisher,  557,900. After this glorious stop on Spanish soil, the tour will head back to Malta in October. This page has been viewed 7145 times.